Burgundy Sri | Artwork – Store – Tammi B. Ph.D.
Hand painted mandala, 24"x 24" acrylic, mixed medium, gold leafing and Swarovski crystals. A Hindu yantra formed by nine interlocking triangles that surround and radiate out from the central point. 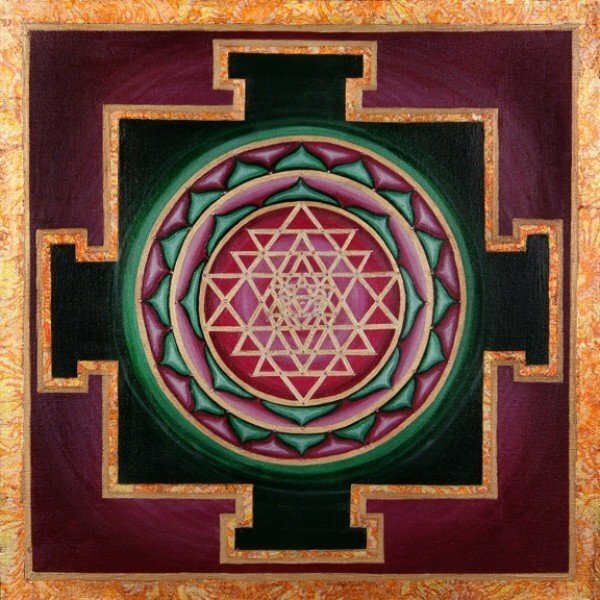 The Sri Yantra represents the creative energy of the Universe as well as the union of Masculine and Feminine Divine.